I continue experimenting with raw kale chips recipes, and this time I created sundried tomato dressing that received raving reviews from friends and family. 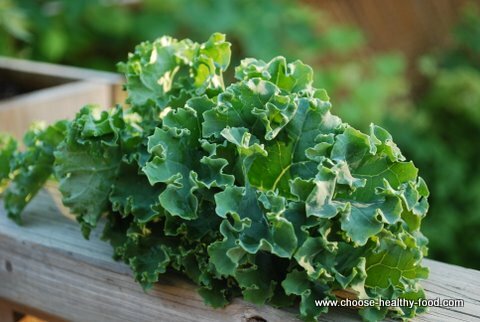 It's kale season, the best time to let your imagination go wild and create new kale recipes! This dressing is pleasantly subtle, with a hint of basil and sundried tomatoes. Tahini makes otherwise fragile, crispy kale more chewy and filling. These raw kale chips make great addition to summer vegetable soups, and are just as good as a healthy snack in between meals. What do dehydrated kale chips taste like? Kale itself loses its bitterness and becomes crispy and fragile after dehydration. Kale chips would taste like dressing that you put on them, and the taste of that dressing will intensify as it dehydrates. kale chips is the best way to consume kale! 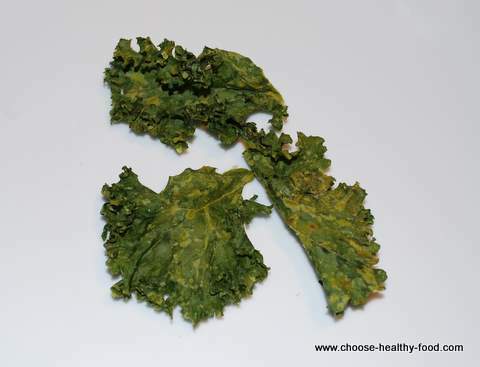 Raw kale chips can only be made with a dehydrator. Dehydrating preserves the most vitamins and enzymes in a raw kale chips recipe. To make dehydrated kale chips, instead of a stove, place them into the dehydrator. I dehydrated these kale crisps in my Excalubur dehydrator at 135 degrees for 6 hours. If you don't have a dehydrator, you can enjoy these baked kale chips ready in just 10 minutes. Kale chips can be made in bulk and stored in the ziplock bags. Blend all the dressing ingredients. Pour the mixture in the big bowl. Try the dressing, and if you like it spicier, add chili flakes. Chop or tear kale into pieces and slightly squeeze in your palms. Spread kale pieces onto baking sheet. Bake for 10 minutes or until crispy. Take kale out immediately if it changes colour to brown. Produces 3 ziplock bags of chips, so it is wise to double or even triple the recipe. Triple recipe will fit into Excalibur 9 tray dehydrator, and would require 7 hours dehydration.